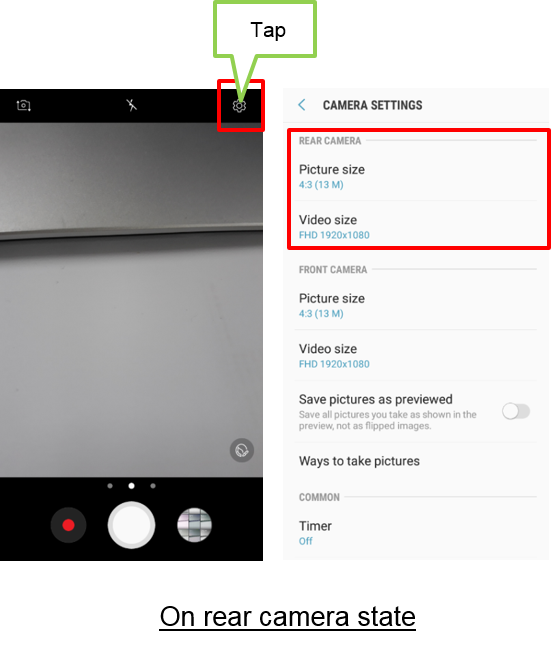 [Galaxy J series 2017] Which settings option are supported on rear camera? To access the Settings, tap Settings icon on the preview screen. ●The available options may vary depending on the shooting mode and which camera is being used.